Enrich your body with the highest-possible quality fish oil, Omega-3 Fish Oil. 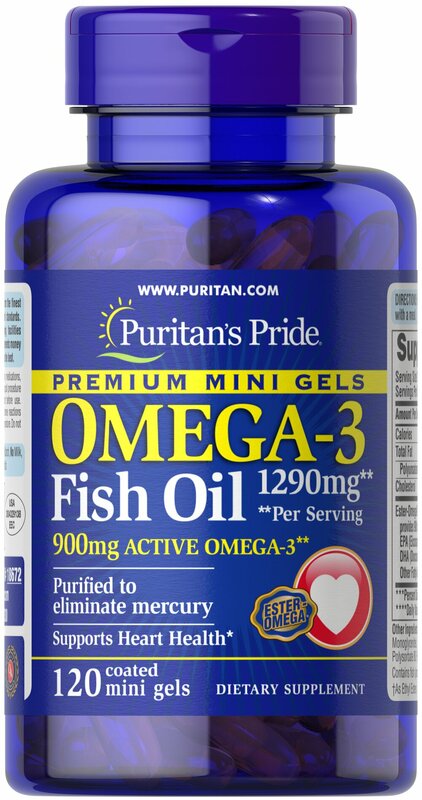 Just two softgels per day deliver 900 mg of the Omega-3 fatty acids EPA and DHA. A major perk about Omega-3 Fish Oil Premium Mini Gels is the form it comes in — coated softgels that won’t leave you with a dreaded fishy aftertaste. One serving of Omega-3 Fish Oil Premium Mini Gels provides 900 mg of EPA and DHA Omega-3 fatty acids. No Artificial Color, Flavor or Sweetener, No Sugar, No Starch, No Milk, No Lactose, No Gluten, No Wheat, No Yeast, No Shellfish.